A BuzzFeed article criticizing Armie Hammer shines a light on the systemic privilege enjoyed by white straight actors in Hollywood. Armie Hammer's star is on the rise. And for one BuzzFeed writer, that rise is symptomatic of everything wrong with Hollywood. In the long-form piece "Ten Long Years of Trying to Make Armie Hammer Happen," Anne Helen Petersen, a senior culture writer at BuzzFeed, outlined how a "pedigreed white man" like Hammer, 31, is given far more opportunities for success in the entertainment industry than women and other members of marginalized communities — despite a decade of disappointments. "No one gets second chances in Hollywood the way straight white men do," Petersen concluded in the article, published Sunday. In response, Hammer sent out a tweet the same day before deactivating his account: "Your chronology is spot on but your perspective is bitter AF. Maybe I’m just a guy who loves his job and refuses to do anything but what he loves to do…?" Hammer, a straight, square-jawed scion of a wealthy family, first gained mainstream attention with his performance as the Winklevoss twins in Aaron Sorkin's 2010 film The Social Network. 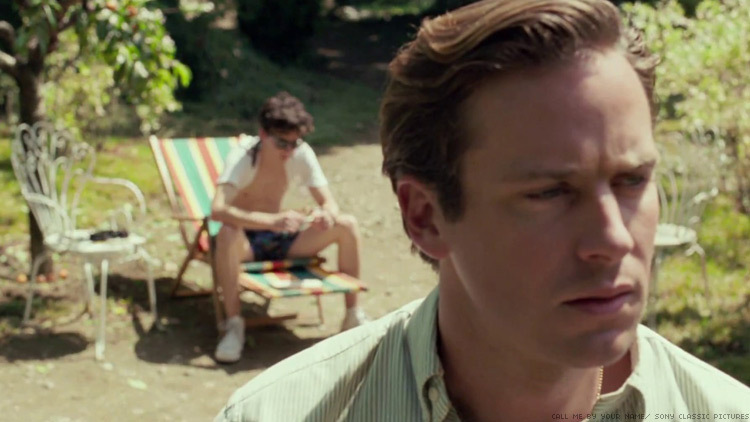 In his most recent production, Call Me by Your Name, Hammer portrays Oliver, a graduate student who falls for the son of his professor, Elio (Timothée Chalamet). The film is considered an Oscar contender, after it took home Best Feature and Chalamet won Breakthrough Actor at the Gotham Awards. Petersen called Hammer's choice to appear in Call Me by Your Name "indie martyrdom," a public relations move, which is "what faltering stars do to restart their careers or the narratives about them." As examples, the writer cited a number of actors who took a role in an independent film "that contrasts with or undercuts their existing star narrative: the pretty girl is cast as an ugly one (Charlize Theron); the comedian is cast as a villain (Robin Williams); the hunk is cast as a perv (Jake Gyllenhaal)." However, a straight actor portraying an LGBT character ("queer martyrdom?") is also a time-tested practice of gaining attention and acclaim. If Hammer or Chalamet are nominated at the Academy Awards, they will join a list of around 50 straight (or closeted) actors who received Oscar noms for LGBT roles. In contrast, an out actor has never won an Oscar. And a gay leading man who is offered star roles in big-budget films like The Lone Ranger is essentially nonexistent. This fuels an ongoing perception of casting discrimination against LGBT talent. This film is about the blossoming of love and desire, no matter where it comes from and toward what. So I couldn’t have ever thought of casting with any sort of gender agenda. I think people are so beautiful and complex as creatures that as much as I am fascinated with gender theory — I’ve studied [American gender theorist] Judith Butler for so long — I prefer much more never to investigate or label my performers in any way. I only cast the actors and actresses I fall in love with — truly having an emotion for them, an anticipation and enthusiasm when seeing them — and I believe that my emotional confidence in them blends into chemistry. It’s always been like that, and I hope I won’t be wrong in the future.